The Elie Wiesel Foundation for Humanity conducts an annual essay contest for undergraduate full-time Juniors or Seniors at accredited four-year colleges or universities in the United States. Students may write about any topic they wish, as long as their essay explores the theme of ethics. The Prize in Ethics Essay Contest was established by the Elie Wiesel Foundation for Humanity in 1989; cash prizes are awarded for the First Prize ($5,000), Second Prize ($2,500), Third Prize ($1,500) and two Honorable Mentions ($500 each). LRN is the exclusive corporate partner of the prize. With the permission of the Foundation, Business Ethics is republishing the top five winning essays in the 2015 competition. 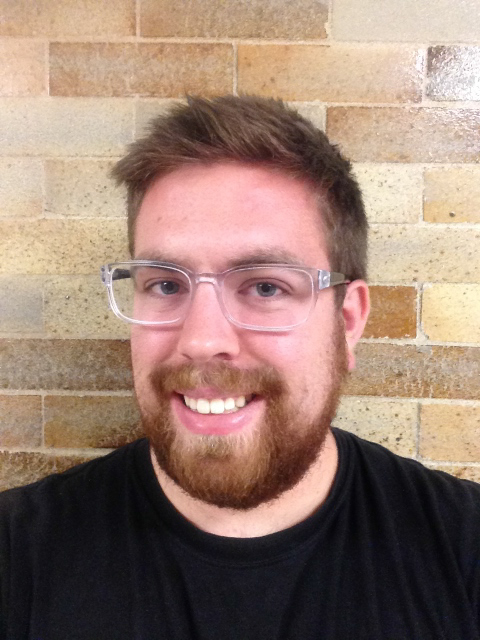 The following essay, “Humans, Animals, and the Kingdom of Ends,” by Andrew King, was awarded Third Prize in the Contest. From Hayward, CA, King attended the University of California, Berkeley. His essay considers and defends reasons for understanding the lives of animals to be analogous to our own, through a combination of philosophy and personal essay. Sometime around the turn of the 16th century, the Early Netherlandish painter Hieronymus Bosch completed his most famous work, a triptych modernly referred to as The Garden of Earthly Delights. 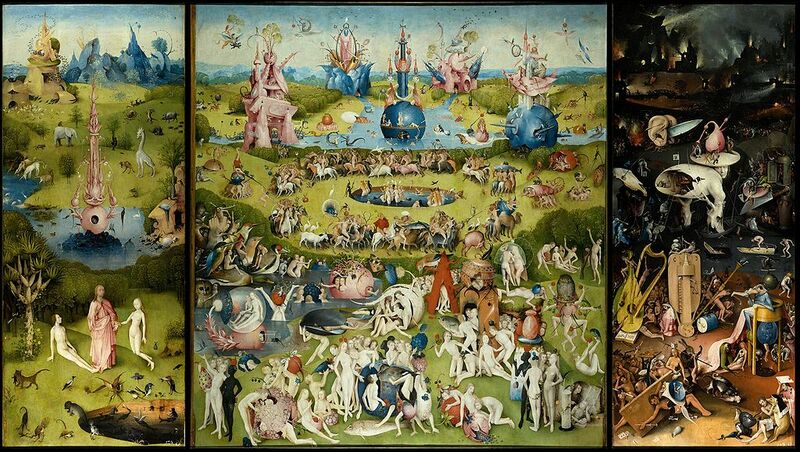 Likely composed before Bosch’s Haywain Triptych but after The Last Judgment, The Garden shares with those works a concern with the eschatological narrative of Christianity—with the spiritual fate of humanity. Bosch’s view of that fate, tempered by a dark sense of humor or Schadenfreude, has seemed to many to be a dim one. In the left panels of all three paintings, a hybrid of Eden and paradise are depicted. None of common humanity is present: Adam and Eve, and variously Christ and the angels, exhaust the left panels’ humanoid figures. Humanity as we know it is found in the middle and right panels, corresponding to earth or purgatory and, on the right, to hell, where nightmarish demons terrorize the damned. It is easy to focus on the horrors of Bosch’s hell and the absurdities of his purgatory, and to think about the negative assessments of mankind that both imply. Chaos reigns in both realms; even everyday objects like knives and ears bloat into grotesque, unnerving versions of themselves. But Bosch’s insights were not, I think, limited to his criticisms of human morality. For in the leftmost panel of The Garden of Earthly Delights what strikes me most besides the absence of humans is the presence—no, multitude—of animals. Hieronymus Bosch, The Garden of Earthly Delights, c. 1500, Museo del Prado, Madrid, Spain. to be a component of the world, but it is not immediately clear that it is a physical component, or that its nature can be exhausted by physical description. Coupled with the fact that subjective experience, our first-personal “windows” on the world, seem to be the grounds of any possibility of our engaging with the world at all, the problem becomes pronounced. And it intensifies further when we consider what it could possibly be like—or how we could know, or describe in intelligible ways, what it is like—for a different sort of organism, like a bat, to experience the world. More than a century after Descartes’s death, the German philosopher Immanuel Kant described human persons in his Groundwork of the Metaphysics of Morals as “ends in themselves,” never to be used by others as means to attain another end—with the whole human community comprising, ideally, “a kingdom of ends.”9 But Kant denied that animals shared with humans the status of being ends in themselves. In his Lectures on Ethics, he claimed that “so far as animals are concerned, we have no direct duties. Animals are not self-conscious and are there merely as a means to an end. That end is man.”10 Our duties towards animals, he said, “are merely indirect duties towards humanity.”11 Kant did not deny that we have duties to behave humanely towards animals, but, infamously, described that obligation as one we owe to ourselves. To most modern sensibilities, even to many of those who think that meat-eating is permissible, this attitude will seem misplaced. We take ourselves to have a duty to treat animals humanely for their own sakes, even if we only do so when we do not need something from them. And some philosophers, like Christine M. Korsgaard, have argued that certain aspects of Kant’s moral theory can be understood as consistent with treating animals as ends in themselves just insofar as things can genuinely said to be good or bad for them.13 But even if this is so, it seems that Kant thought, with Descartes, that animals could not think about themselves as humans could, and could not be considered fully rational agents. Whatever the right way to understand animals might be, it seems crucially related to one of Western philosophy’s perennial problems: the problem of other minds. One desideratum of a solution to this problem is the banishment of solipsism from the list of possible outcomes. We want evidence that we are not just isolated, monadic, Cartesian egos afloat on a sea of sense- impressions, who lack any access to other egos—other individuals, lives, or beings—at all. We want evidence that what appear before us to be humans, animals, and creatures with subjective experiences other than our own actually are such creatures; evidence, that is, that we are not alone. But the persistence of this problem has shown that, despite countless proposed solutions, it remains puzzling, perhaps intrinsically so. Why do we infer14, or think, that there exist other beings capable of having the same sort of experiences as us? Why not think these beings are, in fact, automata? And what explains the fact that, in practice, we do take other apparent beings, people and animals alike, to be actual beings? One suggestion, the suggestion I think most plausible, is that our practical “resolution” of this problem involves an ethical gambit—a hypothesis, a postulate.15 In giving other beings, which may only apparently be beings, the benefit of the doubt as to their being like us (that is, as having experiences, pleasures, pains, and so on—having minds), we are making an ethical decision. That decision, I take it, involves reasoning along the lines of Pascal’s famous wager about God’s existence. Modified, it reads thus. If others do not have minds and I treat them as though they do have minds, I will have done “them” no wrong, caused “them” no pain. But if others do have minds and I treat them as though they do not, I will likely have erred morally— not only by causing suffering, if I have, but (if I am a Kantian) by treating them as means when they are ends in themselves. In Washington, D.C., one August, I became caught in a rainstorm. Thunder growled and lightning struck while water rose above the curbs. The miniature flood drenched my feet; everyone scrambled to get indoors. Leaves and trash sailed down the gutters, into drains. While crossing a street I noticed something that was distinctively not detritus flopping around in a puddle. It was a sparrow whose wing had been broken—likely stepped on by someone, like me, running for cover. I cupped it in my hands and set it beneath a bush. Later I wished I had taken it inside with me, though I did not, do not, know what else I could have done for it. But did I owe it to do more? Did I owe it anything at all? I remember the subdued animosity I once felt, and probably exhibited, towards those who forewent the eating of meat for ethical (though not religious) reasons. I took them and their conviction as a condemnation of my own—secular, American—way of life, though I had no reason to do so. I had inherited the attitude towards animals that I think most of industrialized Western culture can be said to have inherited: that animals are valuable, if they are valuable, as lesser beings—beings we could justly make use of when needed, though aside from our needs we had no reason to cause them pain. Certain creatures, like the dogs I owned throughout my childhood, were accorded a privileged status that I felt too obvious to need defending. I was (and still am, in more ways than I can know) in the throes of what Hume called “custom” or “instinct,” the domineering, pervasive force of habit and tradition. (“Though the instinct [in humans and animals] be different, yet still it is an instinct, which teaches a man to avoid the fire; as much as that, which teaches a bird, with such exactness, the art of incubation…”16) The suggestion that one not eat meat, not merely for supposed health reasons but for reasons having to do with the well-being, the rights, of animals—which, it was implied, I had ignored for most of my life— threatened to revise part of the framework through which I understood the world. That framework classed animals outside of the set of things that should be accorded serious ethical consideration. Only humans, I thought, occupied that set; anything else that claimed inclusion was fraudulent, and detracted from the project of ameliorating the suffering of humans. But then something changed. After for so long resisting the arguments of animal-rights activists, I began to see that the arguments I would give, if necessary, to defend the value and (what I took to be) primacy of human life could not coherently be amended so as to not apply to animals. Some of the most powerful reasons I could give to accord special status to humans appealed to attributes of humanity that were shared with animals. These reasons were brought to light by questions about why I valued my life, why I took others to value their lives, and what made a life worthwhile. If I said, for instance, that I had reason to value my life solely because it was mine, then surely this also applied to animals, for in some sense they, too, had lives, and if the fact that my life was mine was a good reason to value it, then it should likewise be so for other beings with lives. If I said that I sought to avoid suffering because it was intrinsically and instrumentally bad for me, I had to ask why I took it to be so bad; and to this I responded that my suffering was not only bad in itself (for which I could give no further reason), but bad because it prevented me from living in a way that I took to be valuable and desirable—the way that I would live if I were not suffering. But if animals could also suffer, as it seems they could, and this suffering is something that they seek to avoid, which it seems they do, then it seems that they have as strong a prima facie claim as I do that avoiding suffering is good for them. This common claim, and the reason it is grounded in, does not seem dependent on other sorts of attributes that humans or animals might have. That is, my reasons to value my life and to seek to avoid suffering do not seem importantly related to the further claim that I, qua human, am a rational creature. Appeals to the rational capacity of humans are, however, a frequent feature of arguments justifying drastic differences in the treatment of humans and animals. One could accept a rationalistic picture of humanity and say, with Aristotle, that human beings, though they are animals, are rational animals, and that this is one of their defining traits.18 This seems right, but it is not clear to me that it is right without further qualification. Hume’s naturalistic, psychological description of the human mind in his Treatise of Human Nature involves the contention that certain features of our constitution—principles of our “imagination,” a faculty distinct from our sense-perception and our reason—determine for us ways in which we are inclined to view the world and for which we can have no rational justification.19 And it is not clear to me that even if a rationalistic view were right without qualification, it would have any bearing on an entity’s having a claim on living the kind of life that it takes to be good and avoiding that which it takes to be bad. So I came to understand, and sympathize with for the first time, the notion that an organism that is capable of suffering, of having its own existence go well or badly for it according to criteria relevant to it, has a claim on not being made to suffer—regardless of whether or not it is rational or “conscious” in as strong a sense as we, perhaps dubiously, take ourselves to be. And I began to notice that, while not identical with the claim that animals are ends in themselves, applying this idea in practice would often lead to our treating animals as if they were. As I am construing them, our moral obligations to animals have a curious shape. These obligations are asymmetric. If the view I have been developing so far is roughly correct, then we have a prima facie obligation not to harm animals.20 But it does not seem that animals have any comparable obligation not to harm us. To the contrary, it seems that it is in many animals’ natures to seek to harm us. Does this affect the status of our obligations towards them? Earlier, I suggested that rationality was perhaps not relevant as a criteria for determining whether a being had a good reason for claiming that its life should go well, and that others, barring special circumstances, should not generally interfere with its seeking a good life. Rationality now returns to the fore, but in a different manner. Our rationality—understood here as our capacity for deliberation not only about immediately necessary ends but about abstruse, speculative questions as well—is, I think it safe to say, what puts us in the position of being capable of understanding what sorts of creatures have, in principle, a good reason to make the sort of claim mentioned (even if they cannot linguistically formulate, or state, this claim). That animals—most of them, at least—seem incapable, due to their constitutions, to inhabit such a perspective, and so consequently act in ways towards us that we find objectionable when we encounter them, does not seem to change the fact that our rationality allows us to recognize an obligation we have towards animals in virtue of our relationship with them. So it might be right to say that, while rationality as such does not itself give rise to an obligation in this case, it gives rise to the recognition of one; and further, while having rational capacities involves recognizing obligations such that a failure to discharge a recognized obligation incurs moral fault, the failure to recognize an obligation, where this failure is due to one’s lacking rationality, incurs no such fault. As the poet Pablo Neruda asked: “Does the leopard wage war?” It seems that the correct, and implied, answer is no, though the leopard may be violent. This explains, I think, some of our common-sense intuitions about animals and other creatures less rational than ourselves. We do not tend to morally blame those, e.g. children, who we think cannot appropriately reason about their actions. But this does not mean that we do not ourselves have moral obligations to them, nor that in failing to discharge an obligation we do not incur moral fault. Related to the question of asymmetry is the question of pain. If we were to find ways to use animals for our purposes—that is, for food, materials, and so forth—that caused them no pain or suffering of any sort, would using them in these ways then become permissible? The thorough examination of this question is beyond the scope of this paper, but I think the answer is no. And I think that answer can be explained in terms of the very sort of consideration that I have been seeking to entertain: the idea that beings for whom lives can go well or badly are the sorts of beings who are entitled to a claim on what Joseph Raz calls, in his theory of well-being, “comprehensive goals.” And having the sort of life, whether or not we conceive of ourselves as having lives or as having one particular sort of life (since it seems that many animals do not reach this level of self-awareness), that can go well or badly gives one not only a reason to want one’s life to go qualitatively well—that is, have the right attributes, like pleasure and virtue—but that it take a certain form. For humans, that form might (though not necessarily) involve pursuing one’s projects, starting a family, living to old age, and dying peacefully. Even if one’s life goes qualitatively well, if such a person dies before she has lived to old age, then her life has not taken on the desired form, and so she has been deprived of something she had reason to want. I think we can make a similar case for animals. Though many animals do not seem to haveprojects in our sense, some may (bees maintaining a hive, for instance); and even if they do not, it does not seem unintelligible to say that a certain form of life is valuable for them. Nor does it seem unreasonable to say that, were they rational, they would seek a life that, in killing them for use, we would be depriving them of. When I rescued the sparrow, I rescued it out of pity. Anthropomorphization, or what Ruskin called the “pathetic fallacy”—the attribution of human qualities to nonhuman entities—also, I am sure, played a role; Disney cartoons in which sweet-faced, twittering birds pluck flowers and hang sashes come to mind.24 If it had been a rat, what would I have done? But now when I refrain from eating meat, or capture and release a spider that is about to be squashed by someone, I do not do it out of a sense of pity. I think that such pity, though well-intentioned, can sometimes be a form of what Peter Singer calls “speciesism,” the phenomenon of discrimination based on an organism’s species.25 That is, such pity, though motivated by a concern for animal welfare, may treat animal suffering as merely regrettable and emotionally undesirable, not as something that animals have, in principle, a claim on avoiding. My suggestions is that, in seeking to prevent the suffering of an animal, what we are doing—or should take ourselves to be doing— is recognizing that the animal is a certain sort of creature: namely, the sort of creature that can have its life go well or badly for it. And, in virtue of this fact, we have a prima facie obligation not to cause suffering to that creature or to prevent it from leading the sort of life that might plausibly be understood to be good for it. So far I have said nothing about animals as the bearers of rights. This is because the question of whether or not animals have rights is metaphysically tricky. Some theorists, especially Regan, ground their criticisms of current practices in an appeal to the notion that animals do have rights, and in saying what rights these are. But though rights may be useful, and though an argument that animals have rights may turn out to be correct, I think they may not be utterly necessary in discussing how we ought to treat animals. For the account I have tried to gesture towards here only traffics in reasons and claims; it makes no mention of rights. And I want to leave open, for now, the admittedly difficult questions of whether we can violate this prima facie obligation in cases where the gains to be gotten from using animals as ends are particularly significant (such as in certain scientific experiments), though I am doubtful that we can be morally permitted to do so. think the question has an illuminating answer. And I think that answer involves saying why it is that ethical reflection on animals, and on the status of our lives in general, can be worthwhile and can cause us to bring about modifications to our thoughts as well as to our practices. One answer to this implicit question may be: in such a way that Bosch would have seen it fitting to paint humans into his Eden of animals.